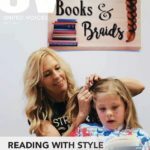 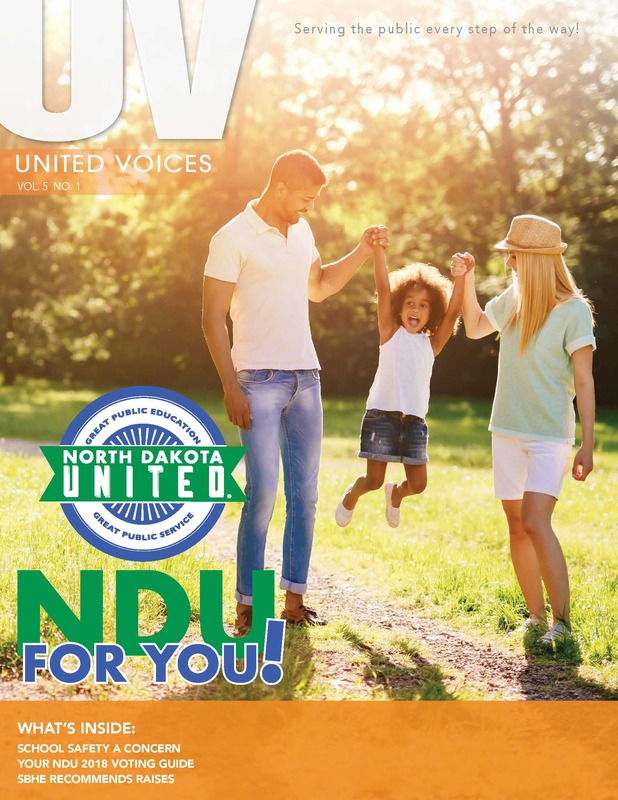 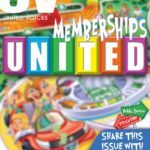 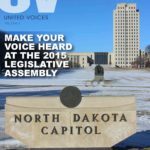 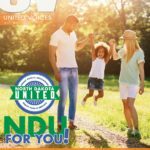 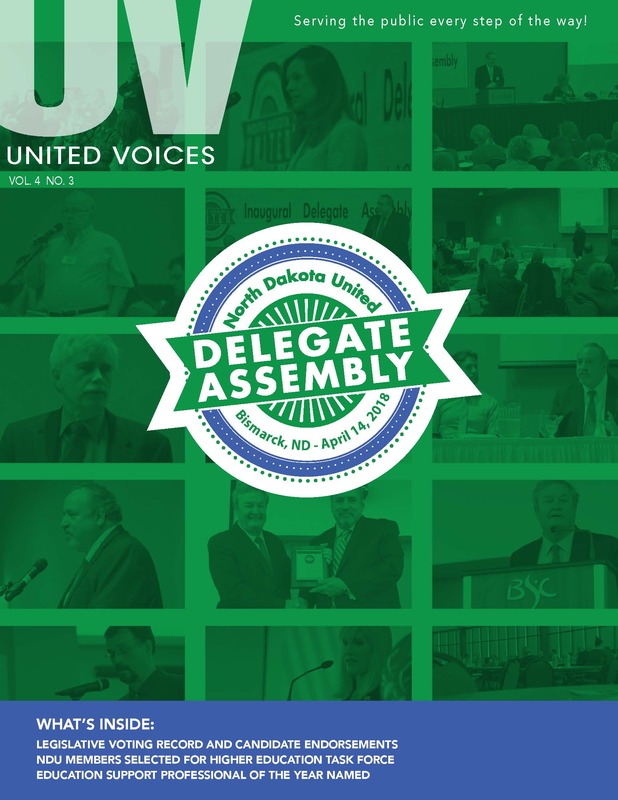 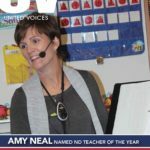 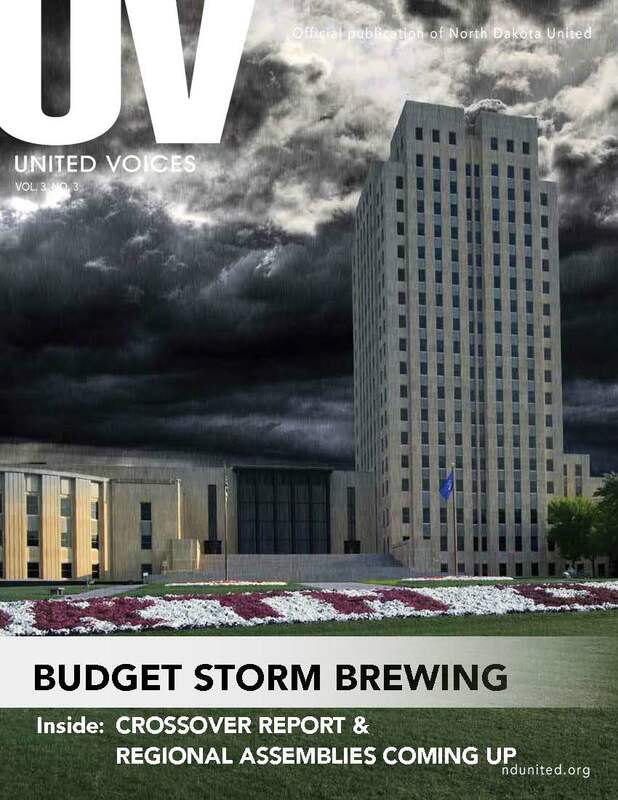 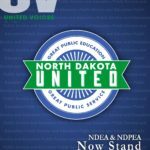 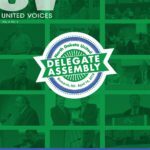 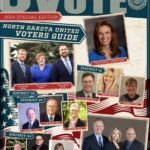 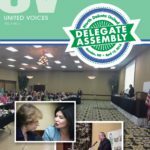 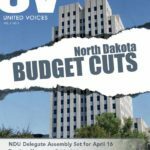 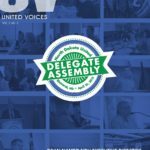 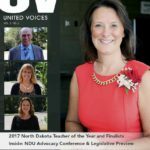 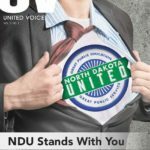 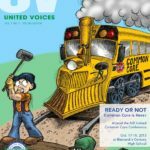 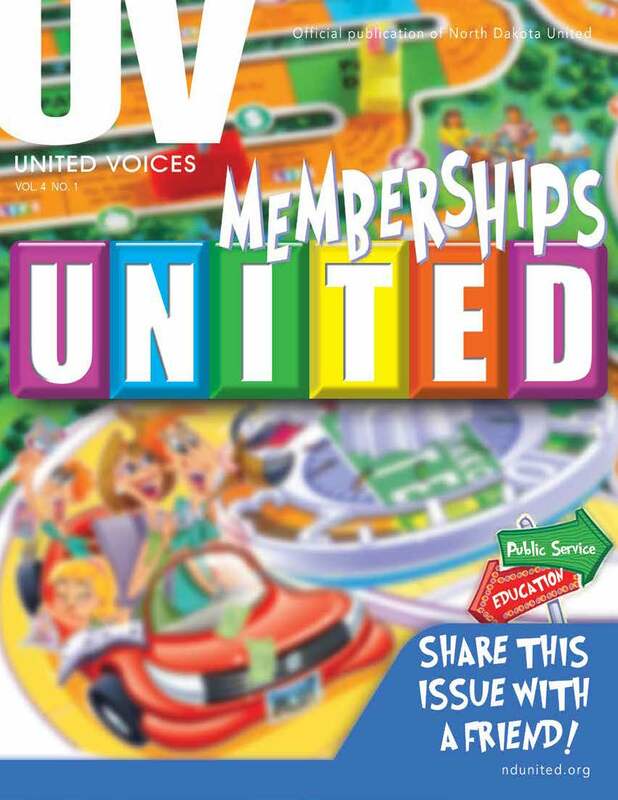 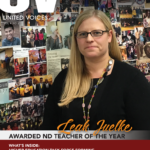 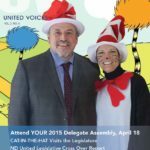 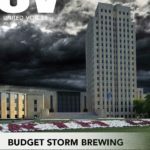 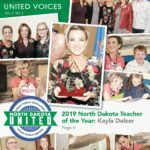 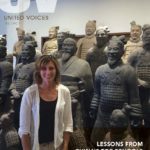 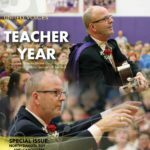 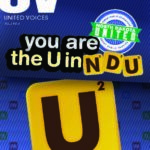 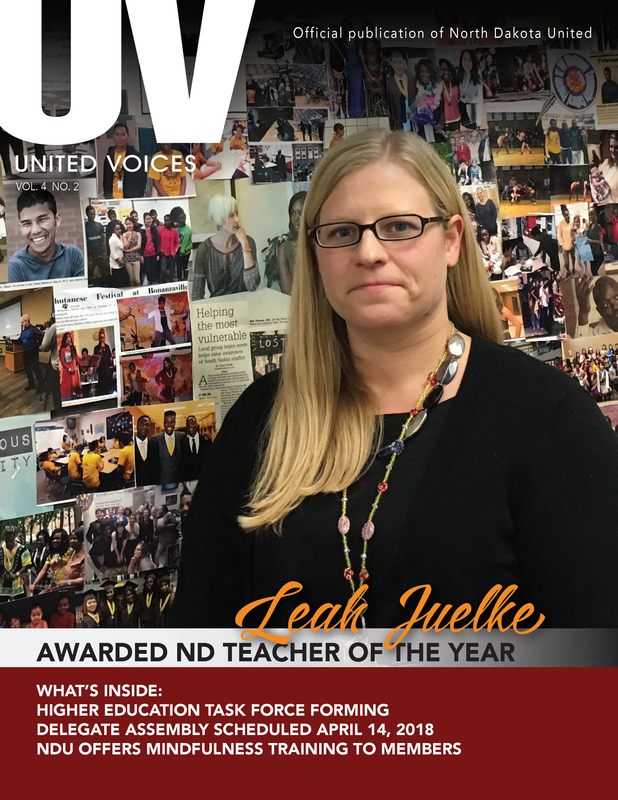 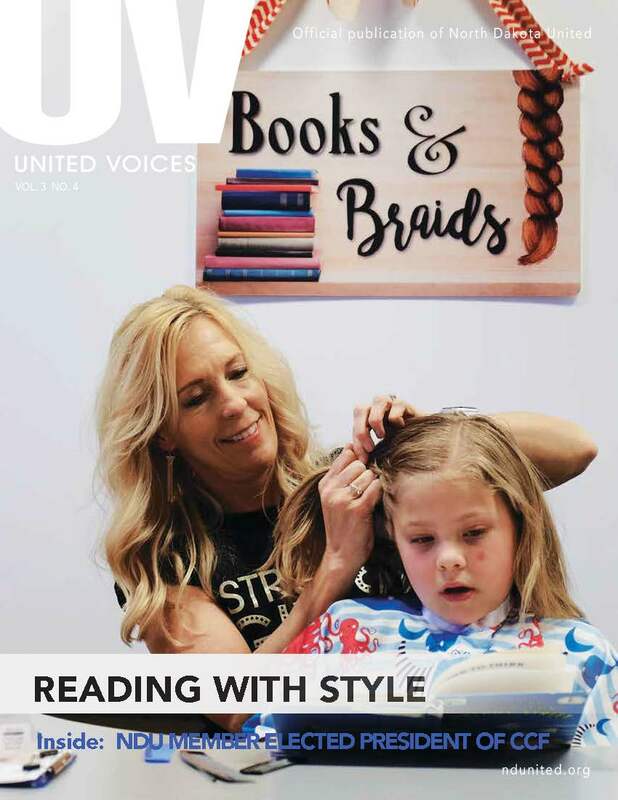 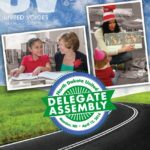 United Voices is the official magazine of North Dakota United. 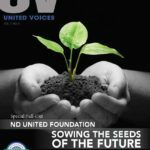 Each issue, printed quarterly, is mailed directly to more than 12,000 of our members, supporters and elected officials. 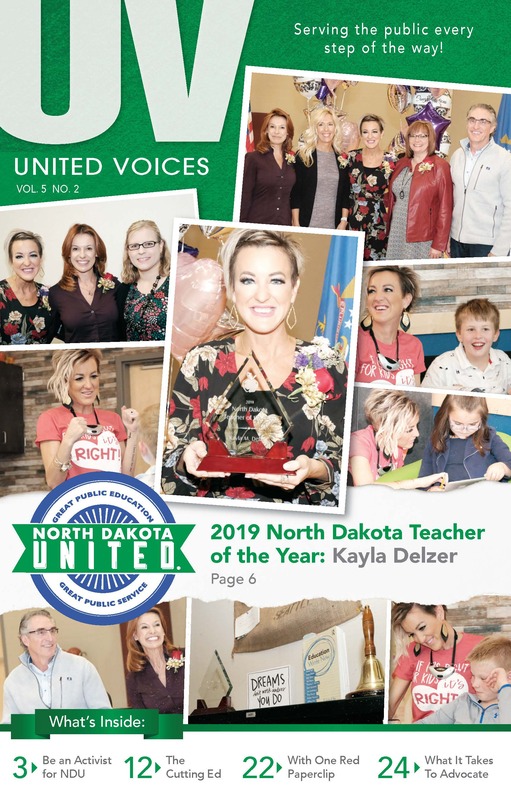 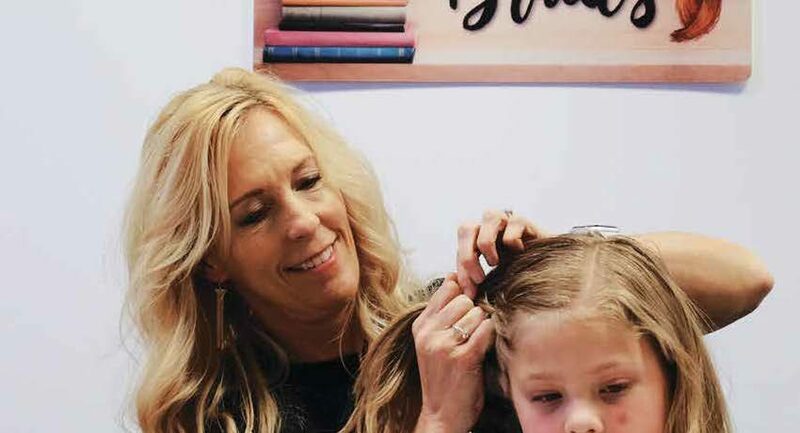 Inside, you will find the latest news, information, events, profiles of members and details on what is happening in education and public service across the state.